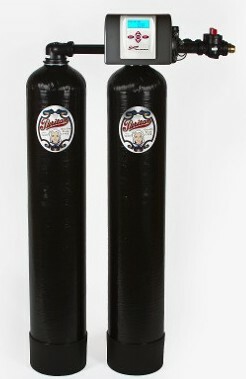 The Puritan 7700 Series softeners consist of a brass constructed regeneration control. 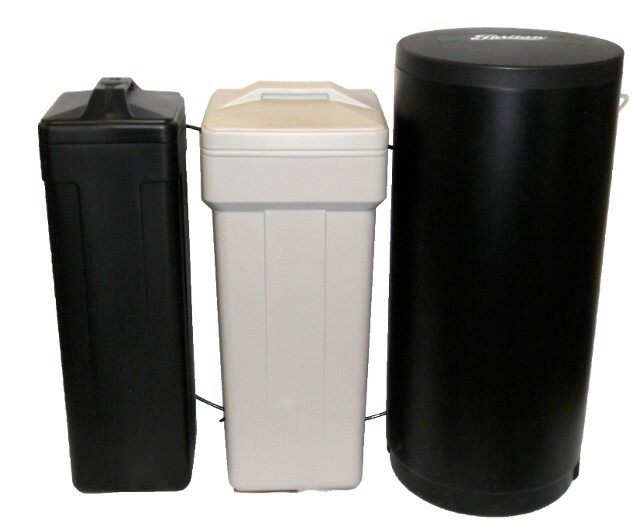 Additional benefits of the 7700 Series softeners include adjustable cycle times, electronic timer option, premium grade softening resin, ¾” or 1” hook-up, demand meter or standard time clock regeneration and a quick connect bypass. The Puritan 5600-SXT Series softeners can be designed and manufactured to meet special applications. The benefits of the 5600-SXT series softeners consist of demand meter regeneration, ¾” or 1” hook-up, quick connect bypass, electronic timer operation with adjustable cycles and a noryl plastic constructed regeneration control. Puritan Aquamind Smart series softeners feature durable noryl plastic control heads, quick connect bypass assembly, demand meter regeneration, solid-state microprocessor, water flow indicator, soft water remaining display, 8 hour batter back up and up to 18 GPM flow rate. Various sizes available to meet special applications. Very efficient softening units due to the demand meter regeneration feature. Puritan Aquamind Plus Twin Tank Series softeners feature noryl plastic construction, electric timer options, premium grade softening resin, demand meter regeneration, ¾” or 1” hook-up, quick connect bypass assembly, soft water regeneration and regeneration day over ride. (with electronic timer only) Puritan’s twin tank series is ideal for your small business or large family. Dimensions of brine tanks vary to accommodate your floor space. Puritan’s Iron Trap removes the iron and odor from your water. This system requires no chemicals or salt for the regeneration process. The iron trap features noryl plastic, regenerating control, proven filtration media, electronic timer, ¾” or 1” hook-up, quick connect bypass and an internal check valve. The Iron Trap combines a unique blend of filtration media with oxygen (air) to create an environmental where the iron in the water will settle out and become trapped in the filter media. The trapped iron is then periodically flushed from the tank and sent to a nearby drain. Small amounts of hydrogen sulfide gas “rotten egg odor” can also be removed by this process. The typical residential iron trap uses a 10x54 media tank, a unique blend of filtration media, and a 1” high flow backwashing control valve. Iron filters can be designed and manufactured to meet special applications. 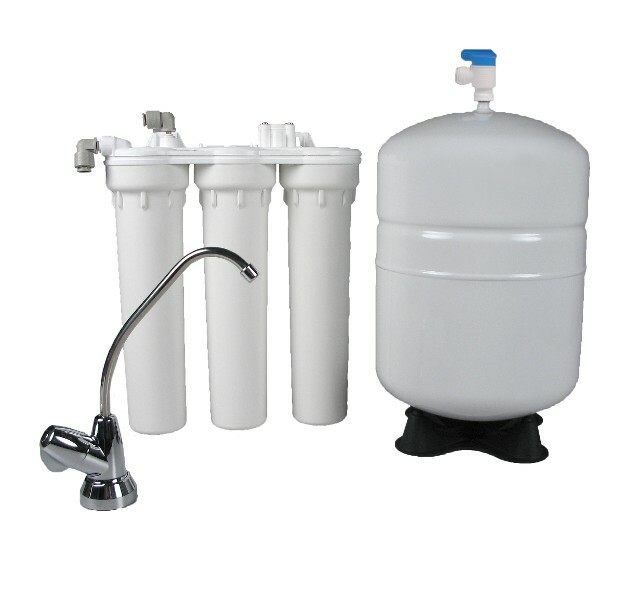 The Puritan Reverse Osmosis Drinking Water System consists of several state of the art features. These features include a patented design, a high capacity tank, a compact system, automatic shut-off with maximum production. The Reverse Osmosis System creates delicious, sparkling-clear drinking water and ice cubes. Enjoy fresh, clean drinking water ready at your faucet without the cost and hassle of bottled water. Reverse Osmosis water is safe for your pets and aquarium.